Submitted Scott City's Kaileigh Dirden, sitting center, signs with McKendree on Wednesday, surrounded by friends and family. 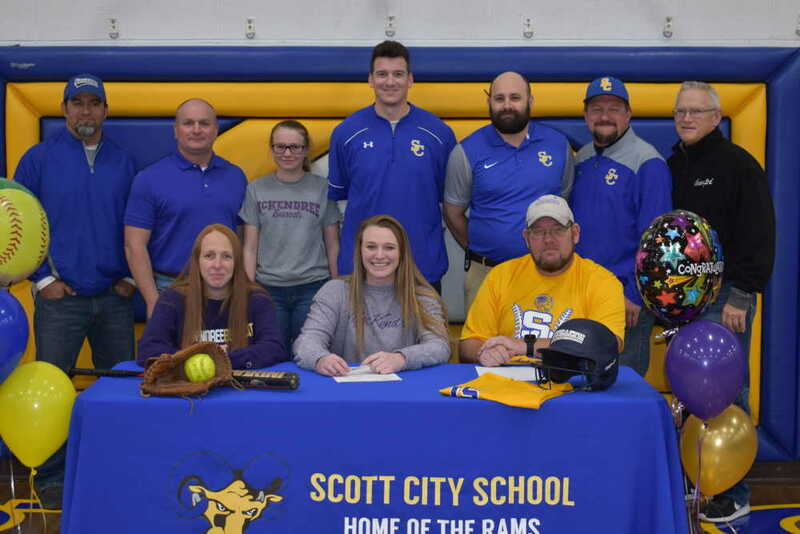 Scott City softball senior Kaileigh Dirden signed with McKendree University on Wednesday. Dirden pitches and plays first base for the Rams and is a two-time all-state selection and three-time all-region pick. 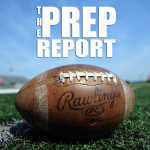 She is also a three-time All-Southeast Missourian selection and a three-time all-district and honoree. Dirden is the reigning Scott-Mississippi Conference Player of the Year, an award she was won twice. She has also earned academic all-state honors all three seasons. As a freshman, Dirden hit 16 home runs to tie the then-state record for a single-season total. It has since been broken. Dirden plans to major in biology at McKendree, which is located in Lebanon, Illinois. McKendree went 38-18 last season, advancing to the NCAA Division II Midwest Regional.